Our other community association attorneys and I have been keeping a watchful eye on the bills impacting condominium associations and HOAs that have been proposed for the current legislative session in Tallahassee. Of the several bills that are being considered, House Bill 1339 filed by Representative George R. Moraitis attempts to clarify existing law, while it also appears to be the most potentially troublesome new legislation for community associations in the state. As it now stands, the bill includes language that would, on the one hand, clarify the responsibility of third-party purchasers of foreclosed condominium units but, on the other hand, diminish the financial liabilities of foreclosing lenders to the community associations. One of the proposed changes to the Condominium Act presented in HB 1339 provides that a first mortgagee bank who acquires title to a unit by foreclosure is not liable for any interest, administrative late fees, reasonable costs or attorney fees, or any other fees, costs or expenses that came due prior to its acquisition of title. This new provision was drafted with the intent of clarifying the existing law. As the statute is currently drafted, for many years associations have sought to collect attorneys’ fees, interest, and costs over and above the statutory “safe harbor” amounts of the lesser of 12 months of assessments or one percent of the original mortgage. If this change is implemented by the legislature, banks will have even less financial incentive to complete their foreclosures in a timely fashion, and the community associations would need to pass the burden to their paying owners for all of the fees and costs associated with pursuing their collection efforts against the owners who are not paying. One of the benefits of the proposed legislation, however, is that these same late fees, interest, costs and attorneys fees incurred by an association will definitively be collectible from subsequent purchasers of units (no matter how they acquire title). As the statute exists today, purchasers are jointly and severally liable with the previous owner for all unpaid assessments that came due up to the time of transfer of the title to the unit. Many “subsequent purchasers” have argued that this provision does not include attorneys’ fees, costs, interest and late fees, and only means “assessments” in the purest sense of the word. Therefore, if this change is implemented by the legislature, condominiums will likely collect more than they have in the past, as there will be no fear of being challenged for attempting to collect these other amounts. One other potential amendment present in HB 1339 is with regard to an association’s right of access to a unit. As the statute is currently drafted, an association has the irrevocable right to access a unit during reasonable hours when it is necessary to prevent damage to the common elements or other units. This bill would amend the Condominium Act to provide associations with a right to enter abandoned units for inspection, make repairs, turn on the power, and otherwise protect, preserve and maintain the unit and adjoining common elements. Any expenses incurred by an association for this work would be chargeable to the unit owner and enforceable like an assessment. Additionally, the association may file an action in court to appoint a receiver to rent abandoned units for the benefit of the association in order to offset the association’s costs and expenses of maintaining, preserving and protecting the unit. The legislature remains in session until May 3rd and there are several bills in committee that could affect condominium and homeowners associations. 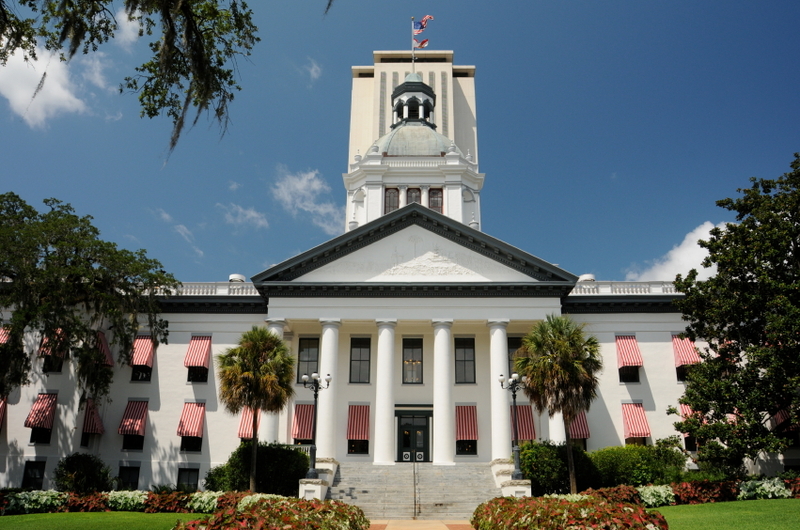 We will continue to monitor the legislative session and post updates in our blog, and additional information on the pending bills affecting community associations is also available at www.myfloridahouse.gov or www.flsenate.gov.